Cuticle – a dance work choreography by Brandon Shaw – choreographed to my work Monochrome Variations II for Simplified Violin. 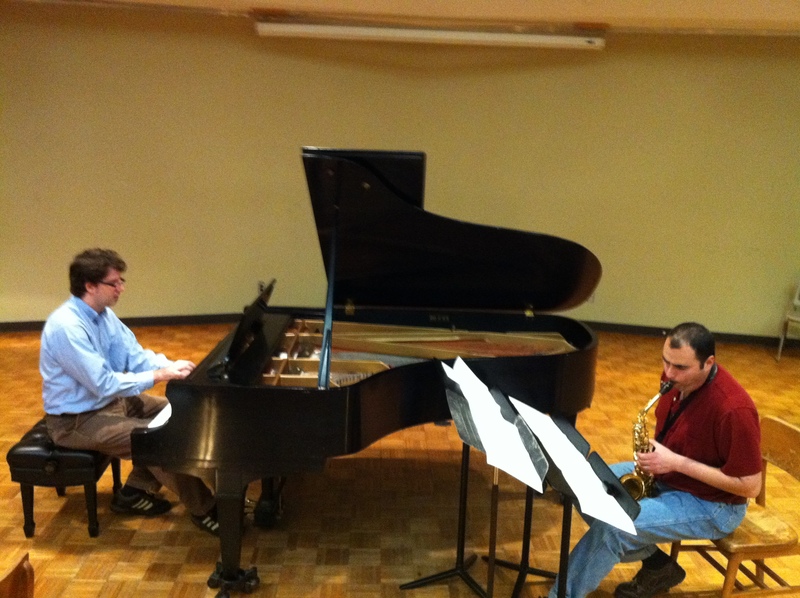 LSU’s Digital Media Center had their inaugural concert of multi-channel sound art on April 7th, 2014. 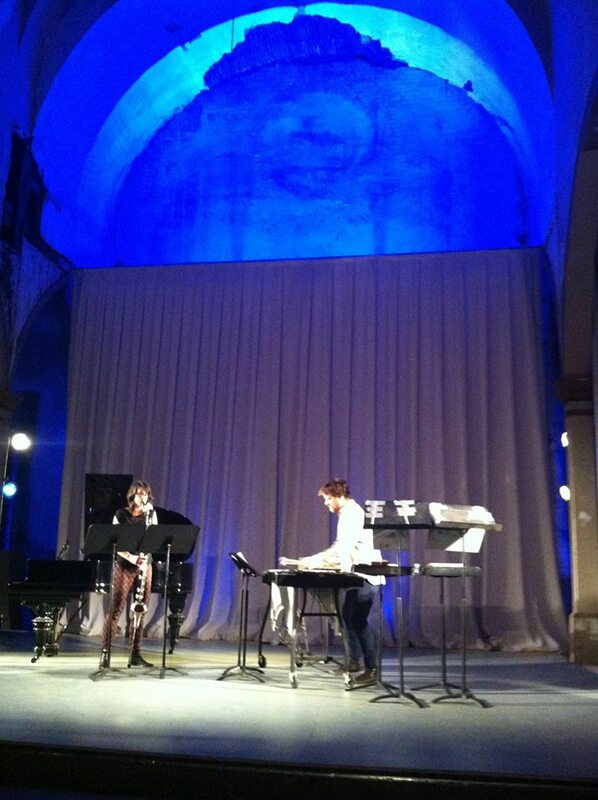 My work Void Chapel was included on the program! 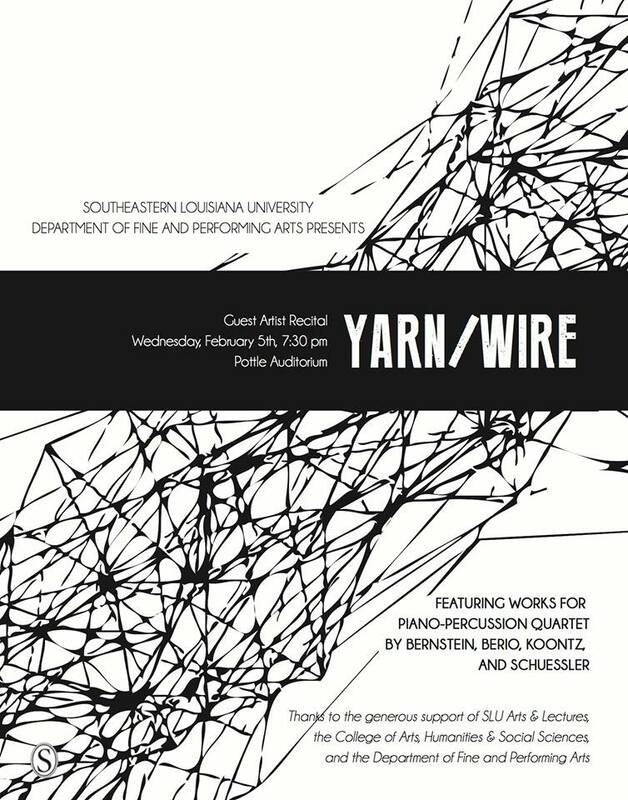 The poster for the February Yarn/Wire concert at Southeastern Louisiana University was designed by Jennifer and Brian Hanson. Their work is always so captivating! 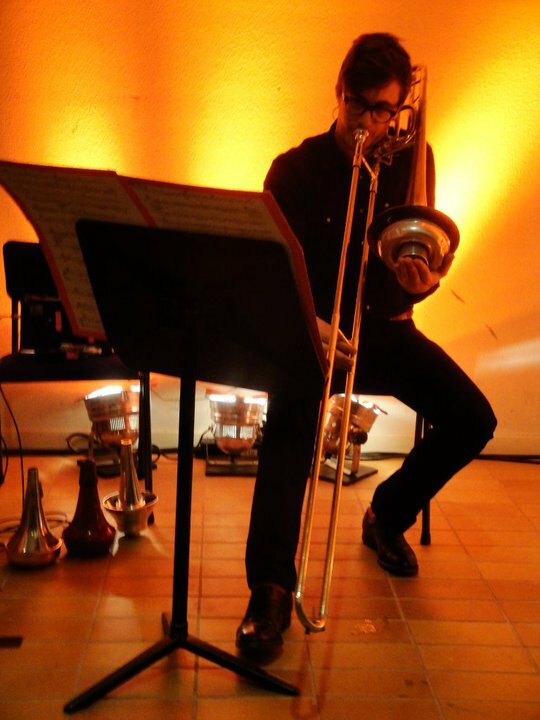 A live performance of Hard Eight for Rob Voisey – Fifteen Minutes of Fame. 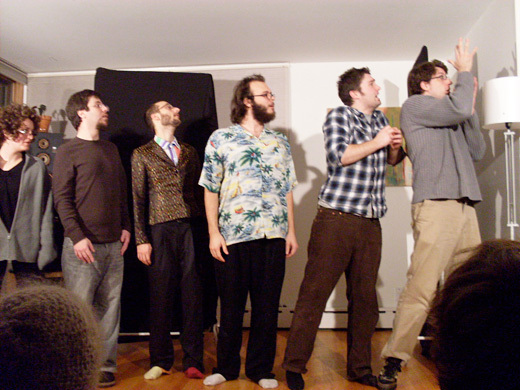 This is a collection of one-minute works for graphic notation performed on December 8th, 2013 at the Jan Hus Church in New York City by musicians Istvan Peter B’Racz, Bill Beckett, Brendan Randall-Myers, and Nate Trier. My work FOURXTWO appears at 3:38. 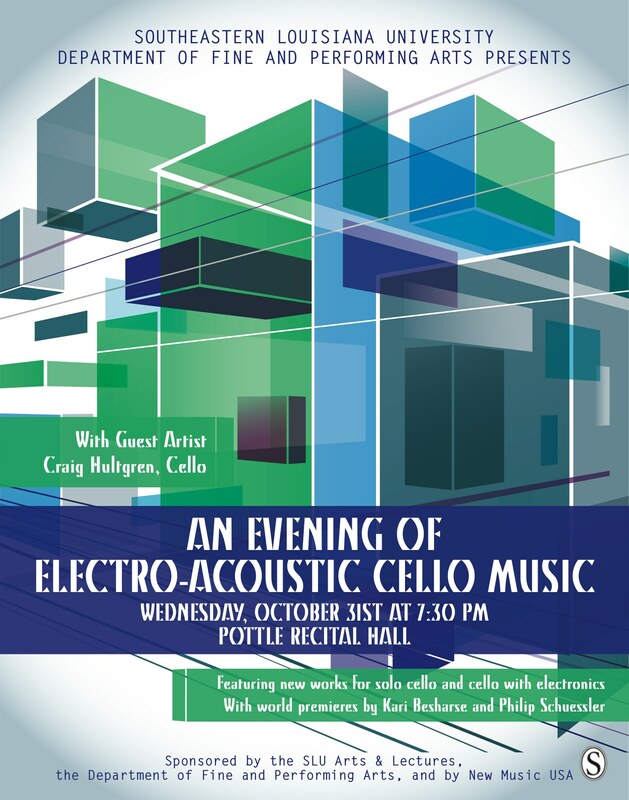 Jennifer and Brian Hanson designed this wonderful poster for the October 31st Craig Hultgren Cello Concert that took place at Southeastern Louisiana University and featured the world premiere of Monochrome Variations for cello and Max/MSP. 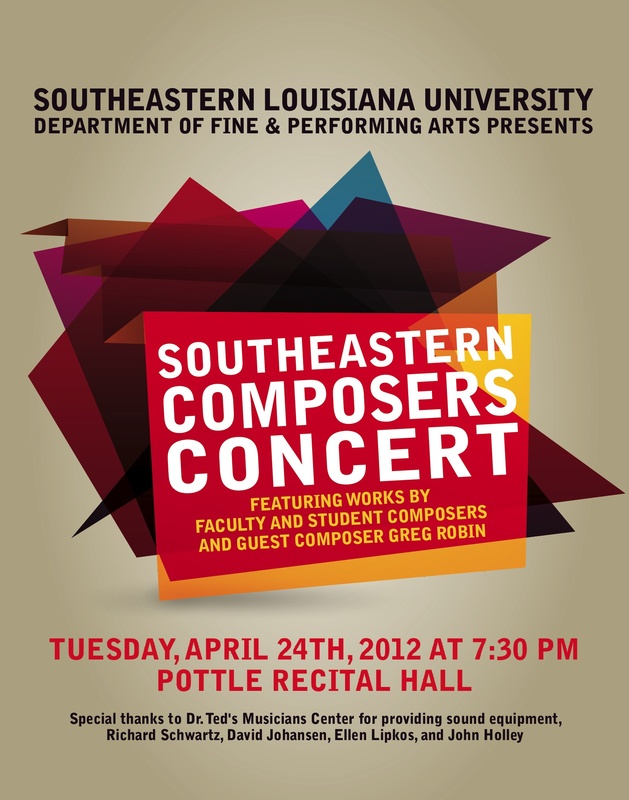 A video of the world premiere of composer Kari Besharse’s (my wife) laptop ensemble piece entitled Electric Monster and the Invasion of the Incredible BSO’s. (I play one of the “Bouncing Spherical Objects”).